Serving as the biggest video streaming site, YouTube devotes itself to granting better and better view experience to continuously add greater video quality modes from SD at a resolution of 320x240 pixels to HD (720P/1080P), UHD (4K/8K) as well as introduce 60fps for HD videos to be compatible with high-end graphic cards. YouTube maniacs feel content with vivid images of HD contents, while high bandwidth requirement of online playback prevent a part of visitors from watching YouTube HD videos in a smooth way, especially when using mobile data. It is highly recommended to download YouTube HD to computer and portable devices for better viewing 720P/1080P videos with no interruptions at all. 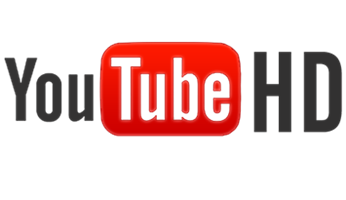 Following, a competent YouTube HD downloader and in-depth how-to guide will be shared with you. How to Download YouTube HD 720P/1080P Videos? WinX YouTube Downloader – Give the simplest and fastest solution to free download 720P/1080P HD videos from YouTube while maintaining lossless quality. Apart from YouTube, it is also available to free download SD/HD/4K/8K/3D videos from 300+ sites, like Vimeo, Dailymotion, Metacafe, Vevo, MTV and more in a flash. Tip: If you would like to convert downloaded YouTube HD video to other formats, AVI, WMV, MOV, MP3, FLAC etc, or gadgets like iPhone, iPad, Android, Windows smartphone/tablets, the Convert Video button next Download can give you a hand. We also advocate to learning if it is legal to download YouTube videos before performing YouTube HD download. • Free download SD/HD/4K/8K/3D videos from YouTube as well as other 300+ sites in a flash. • Fast convert SD/HD/4K/8K videos to MP4, AVI, WMV, MOV, MPEG, FLV, 3GP, iPhone, iPad, Android, Windows Phone, Surface Pro etc, with crisp quality. • Extract MP3, AAC, AC3, WAV, FLAC, iPhone ringtone (M4R) and other popular audio formats from movies, music videos while keeping hi-fi sounds.